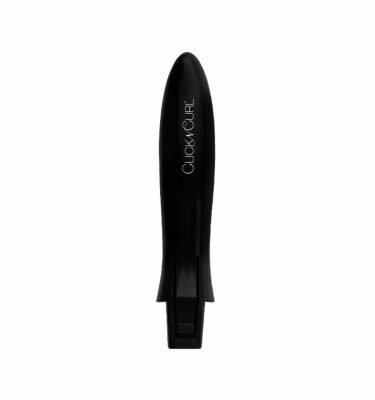 Includes: 1 brush barrel to be used with Click n Curl universal handle. Universal handle not included. 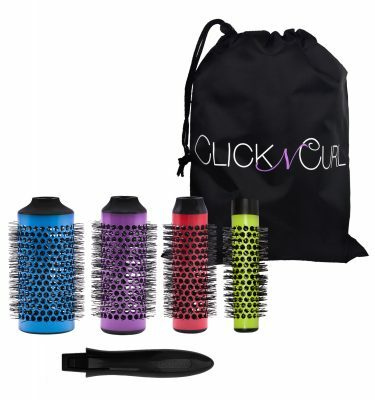 Click n Curl is the detachable round brush styling tool that allows you to achieve a salon-quality blow-out at home. It’s easy to use as a conventional round brush and produces results consistent with today’s hottest hairstyle trends – body, volume and loose flowing curls. Unlike other tools that require you to dry before styling, Click n Curl allows you to dry and style all in one step. 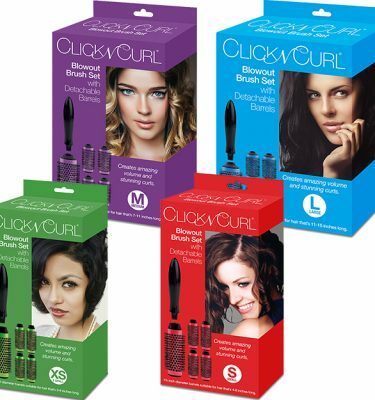 With Click n Curl, you can achieve the look you need by the time your hair is dry and cool. 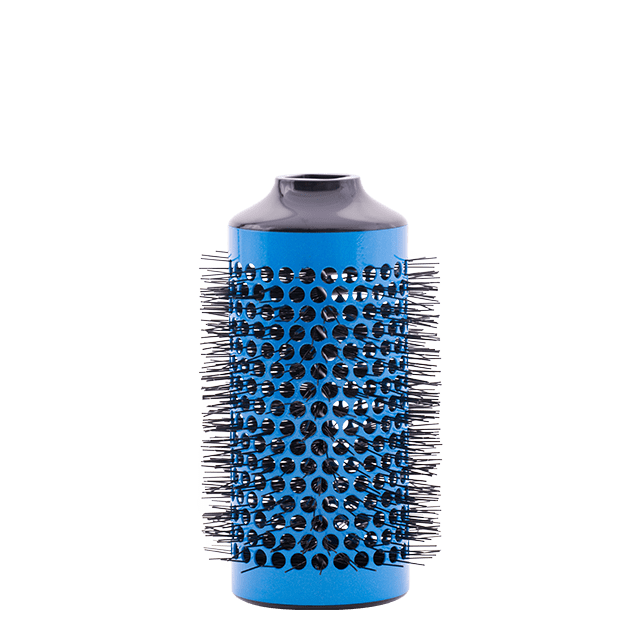 Warning: Ceramic/aluminum brush barrels may be hot during use with a blow dryer. Avoid touching a heated brush barrel to the skin. Allow to cool before handling. Warning: When using Click n Curl, do not place hair dryer directly on the brush barrel, brush bristles or the hair. This could result in damage to the brush and/or the hair. The heat source should be a minimum of 2 in. / 5 cm away from the brush barrel and remain in constant motion to avoid excessive, constant, direct and prolonged heat on the hair.